Perfect, turn-key Mt. Lemmon cabin with ALL the furnishings/contents included. 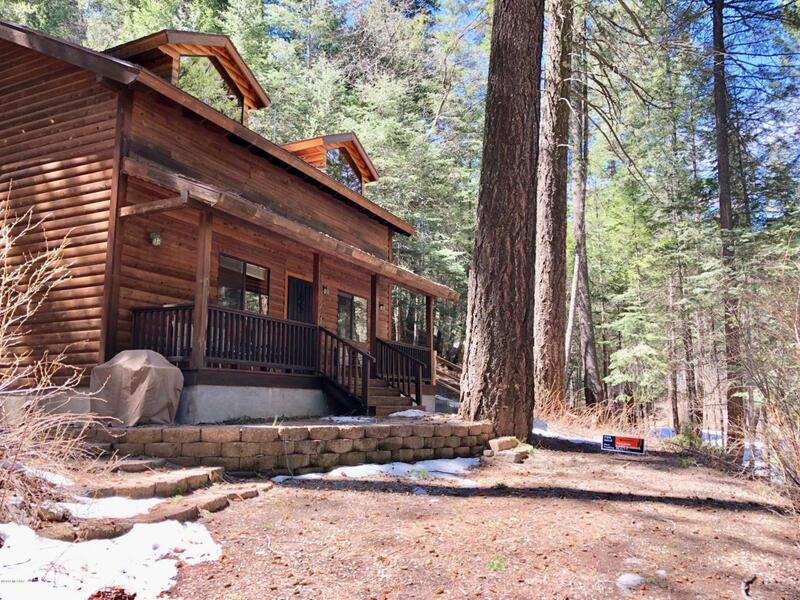 Private, 3 bd cabin, nestled on a .27 acre quiet, private lot. Sabino Creek is a minute walk down the hill. Open floor plan with the master bdrm on the main level & large loft upstairs (2 bd's & bathroom). 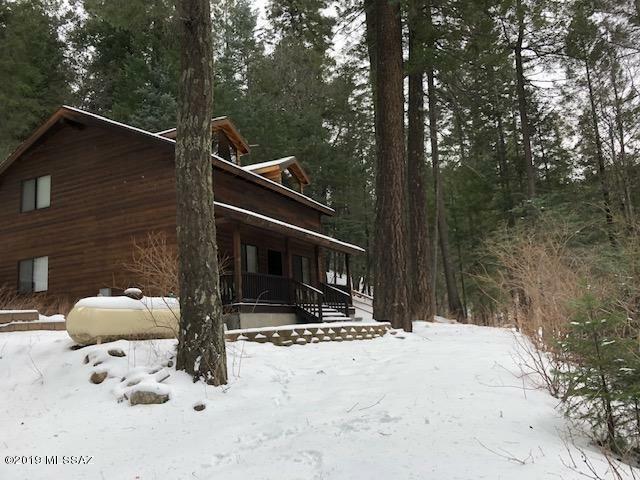 Vaulted wood beam ceilings, bright layout, with North facing windows that look out onto lush, full grown Ponderosas. Spacious loaded kitchen with plenty of counter space - it's ready to go! Gas heater fireplace. The laundry closet has stackable washer/dryer & storage. Covered deck for relaxation & unwinding. 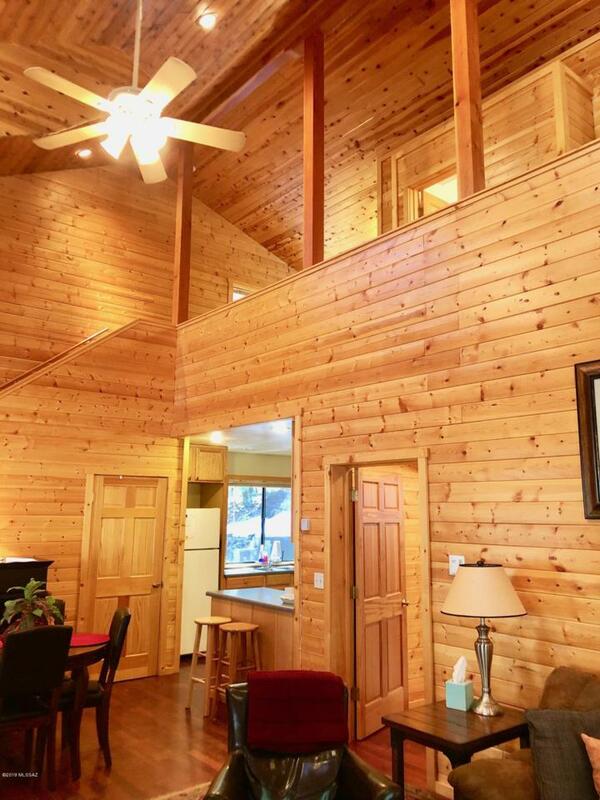 This meticulously cared for cabin has majestic views. 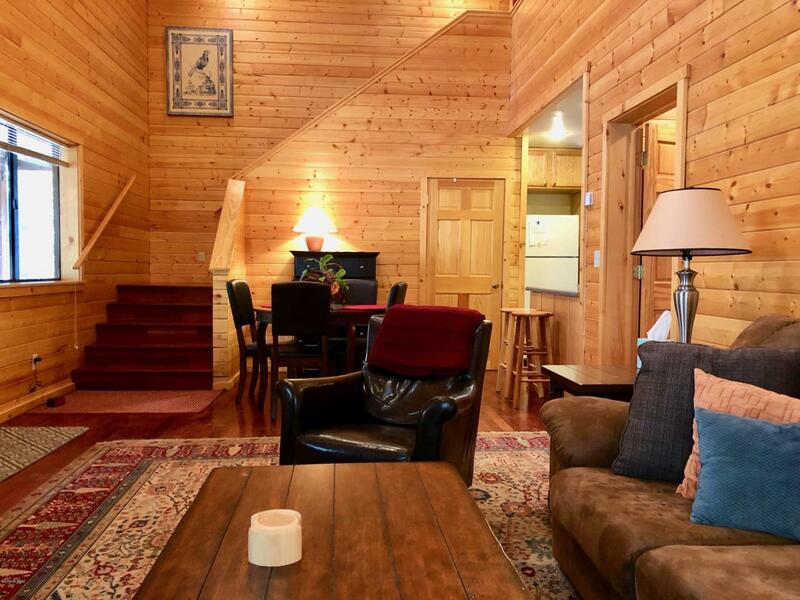 The cabin is convenient to Summerhaven shopping & restaurants. Seller may consider residential, commercial or land trade in Tucson.